IN THE NEWS: What are the best foods to fight aging? 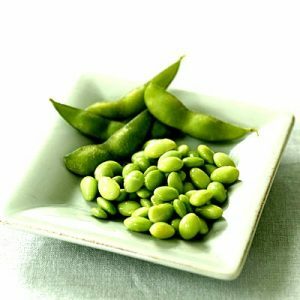 EDAMAME, or fresh soybeans, have been a staple of Asian cuisine for generations, the beans are rich in isoflavones, a type of phytoestrogen – that is. plant-derived, estrogen-like substances. Isoflavones are known to have anti-inflammatory, antioxidant, anti-cancer, and antimicrobial properties. CARROTS This common culinary ingredient, best known in its orange variety, is famously recommended for its high content of beta-carotene, a pigment — and carotenoid — that gives the widespread version of this root vegetable its color.Beta-carotene can be converted by our bodies into vitamin A, which, according to the National Institutes of Health (NIH), “is involved in immune function, vision, reproduction, and cellular communication.” Our bodies cannot produce vitamin A on their own, so it must be derived from our diet. moreover, research has shown that foods rich in carotenoids — and, of course, carrots are a prime example here — can protect against age-related macular degeneration, the vision damage caused by old age. CRUCIFEROUS VEGETABLES Another important type of food on our list are cruciferous vegetables — also known as “Brassica vegetables” — which include a wide array of green foods, such as cabbage, broccoli, Brussels sprouts, cauliflower, bok choy, radish, and kale. These vegetables boast an especially rich nutrient content, including many vitamins (C, E, K, and folate), minerals (potassium, calcium, and selenium), and carotenoids (lutein, beta-carotene, and zeaxanthin). Cruciferous vegetables also contain glucosinolates, some glucosinolates seem to regulate the body’s stress and inflammation response; they have antimicrobial properties, and some of them are being investigated for their anti-cancer potential. WELLNESS: Reducing stress naturally Stress can be a factor in the breakdown of the body and the development of certain disease processes. Stress has different factors emotional, chemical, structural/neurological and physical. One of the benefits of chiropractic adjustments is that patients report caring less stress in their body. 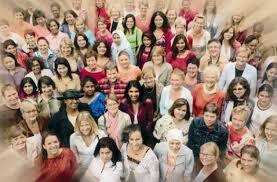 This can have a ramification on the quality of sleep and how well a person handles other life stresses. One type of emotional stress is replaying certain traumas in a subconscious way. This can show up as avoiding certain activities like driving, meeting new people or new experiences. The Emotional Freedom Technique is a tool we use to help eliminate the subconscious stressors. It allows the body to release these programs that are being replayed at the subconscious level thus allowing people to overcome phobias and other things that produce stress. Just improving diet and detoxing the body can improve stress handling considerably. If you feel like stress is taking over we can help. Talk to us today about any issues you feel are affecting your health. CONDITION OF THE WEEK: Why Americans Love Chiropractic Findings from the most recent National Health Interview Survey providing data on the use of chiropractic and other complementary health care approaches by U.S. adults reveals why Americans utilize chiropractic and what they value most. The survey provides data on lifetime (54.6 million; 24%) and 12-month (19.1 million; 8.4%) use of chiropractic services and various sociodemographic characteristics. But the most intriguing data illuminates the primary reasons for visiting a doctor of chiropractic and the perceived health and wellness benefits received by chiropractic users. Why visit a chiropractor? Here’s why: Reasons for Visiting a Chiropractor For general wellness / disease prevention: 43.6%-To improve energy: 16.3% -To improve athletic or sports performance: 15.4%-To improve immune function: 11.4%-To improve memory or concentration: 5.3% Benefits of Chiropractic Improves overall health or makes feel better: 66.9%-Helps to sleep better: 41.9%-Helps to reduce stress level or to relax: 40.2%-Makes it easier to cope with health problems: 38.5%-Gives a sense of control over own health: 32.5%-Helps to feel better emotionally: 27.4% Why Not Just See an Medical Doctor? Chiropractic treats the cause and not just the symptoms: 61.9%-Chiropractic is natural: 37.5%-Medical treatments do not work for specific health problem: 33.8%-Chiropractic focuses on the whole person: 24.9%-Medications cause side effects: 18.1% So, let’s recap: U.S. adults visit doctors of chiropractic for a variety of health and wellness reasons (not just when they have back pain); the majority find it “very important” or “somewhat important” in maintaining their overall health and well-being, yet most all believe it is effective in helping their specific health problems; and chiropractic presents an all-natural, drug-free alternative to traditional medical care. Someone you know needs chiropractic! This entry was posted in News and tagged chiropractic, DIET, Dr. keefe, Emotional Freedom Techniques, energy, Sleep, tulsa chiropractor by DocJohn. Bookmark the permalink.